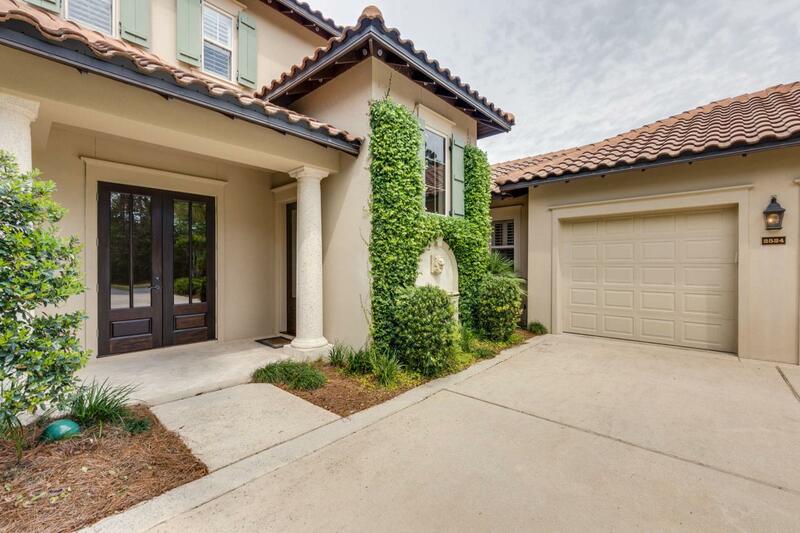 An enclave of Mediterranean style villas, The Vineyard at Raven Oaks is an intimate neighborhood offering the ultimate in golf course living. 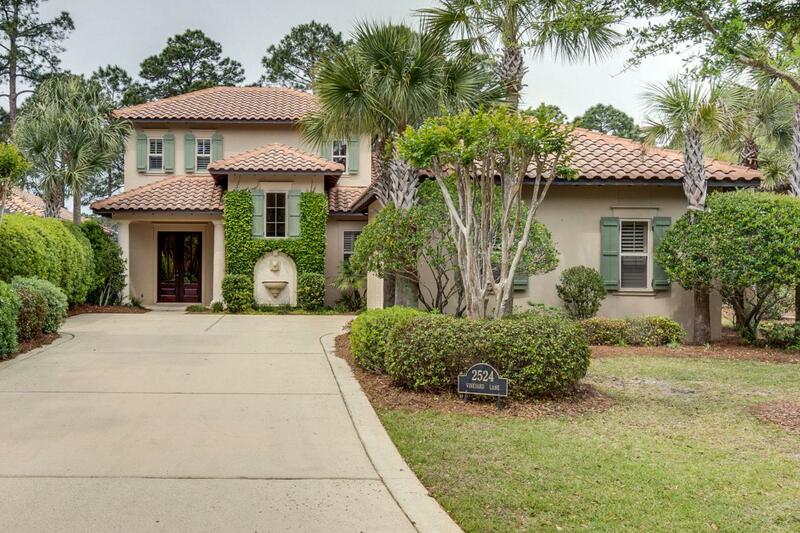 This one owner home is in immaculate condition. The kitchen has been upgraded with White quartz countertops, cabinets and new stainless steel frigidaire professional series appliances and a bosch dishwasher. 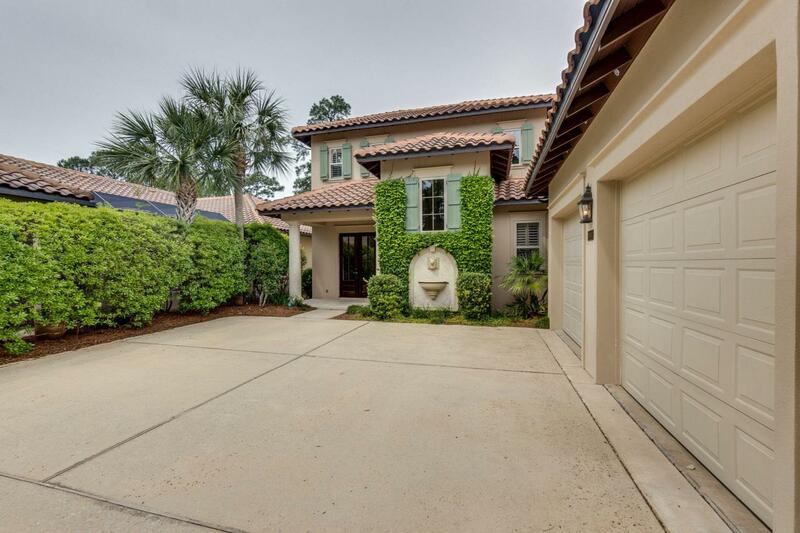 This 4 bedroom 4.5 bath home features a private office/study as you enter off the foyer. The sitting area in the master overlooks the pool with water feature and beautiful golf course views. The quaint yard features an iron fence which is perfect for small children and pets and privacy. 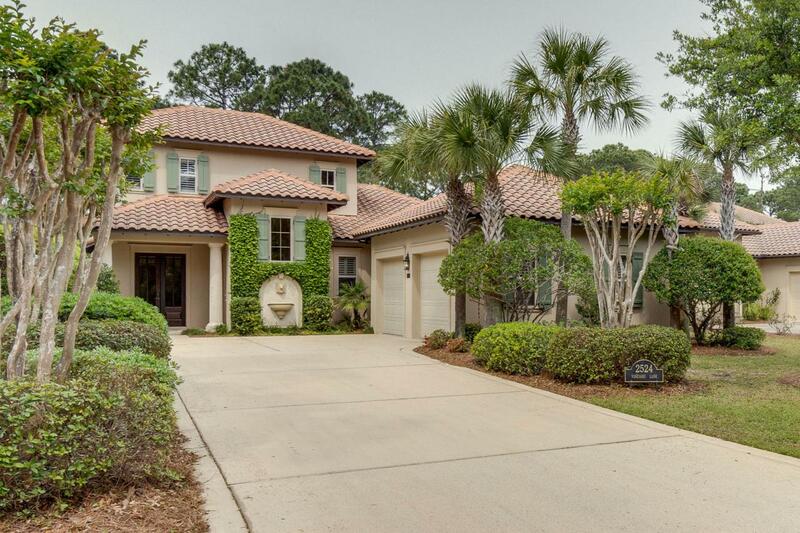 Enjoy all the amenities sandestin has to offer. SOA fees are 382.75 per quarter and Vineyard 336 per quarter with a .05 new buyer fee. All info, feessquare footage and room dimensions to be verified by buyer.